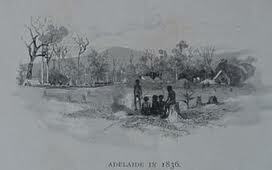 The diaries of those who make landfall in South Australia in 1836 include a number of observations about the Aboriginal people they encountered, from the women companions of the Kangaroo Island sealers to the ‘Encounter Bay tribe’ (Ramindjeri) and, later, the Kaurna people of the Adelaide plains. Some of these accounts are first contact stories, fascinating for the insights they offer into two very different cultures encountering each other. Colonists’ accounts show they were very interested in the local people, including how they looked and behaved. In Britain in the 1830s a number of different schools of thought contributed to the ways in which Australian Aboriginal people were perceived. Some took the traditional Christian view that all people were descended from Adam and Eve, and hence all were brothers before God. Others believed that the ‘Aboriginal race’ was located near the bottom of a hierarchical ‘great chain of being’ – while the European ‘race’ was at the top. 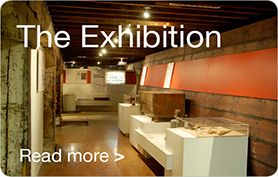 Some accounts indicate that the South Australian colonists had pre-existing ideas about those people they would encounter. New South Wales had been settled for almost half a century, and it appears that some of the South Australian colonists were familiar with accounts of Aboriginal people in that colony. Dr Woodforde, for example, refers to a corroboree, using a word from the Sydney area which was by the 1830s in general use to describe a ceremony or dance performed by Australian Aboriginal people. It is worth noting that prior to colonisation in 1788, Australia was home to more than 500 language groups or ‘tribes’, and that language, culture and lifeways varied significantly across the continent and Tasmania. Dr Woodforde also comments in his diary on 15 September 1836 that the Encounter Bay ‘tribe’ is a small one, because of disease and ‘a still greater number being put to death shortly after birth’ (infanticide). He could not have known, at this point, whether or not infanticide was practiced by the people he was meeting for the first time. Accounts of Australian Aboriginal people in the nineteenth century often focused on ‘savage’ practices and attributed such practices to Aboriginal groups; notable examples are infanticide, cannibalism and violence towards women. While these practices may have been part of some Australian Aboriginal cultures in the period, the focus on them reveals as much about the commentators as the cultures commented upon, serving to put conceptual distance – ‘civilisation’ – between European and Aboriginal cultures. It also served to obscure that some of these same practices (infanticide and violence towards women, for example) were practised in European culture.